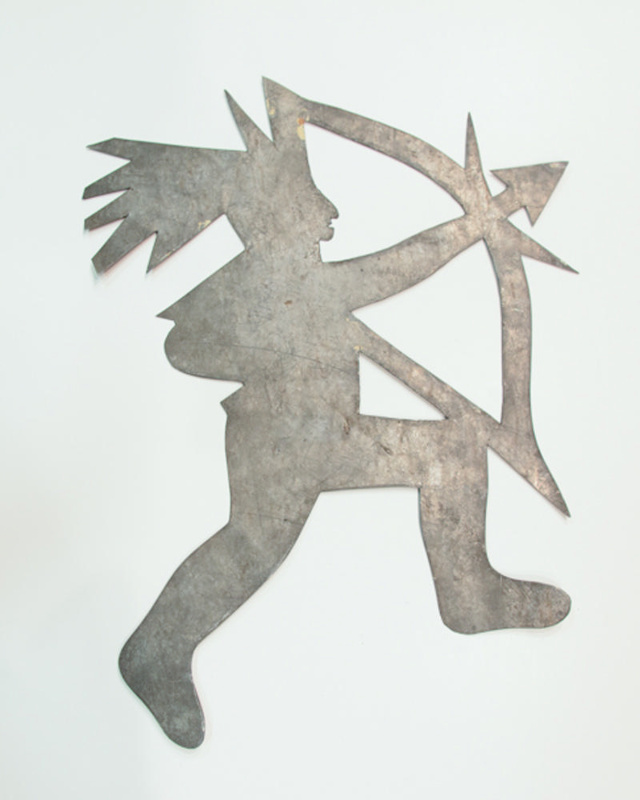 This is a flimsy metal quilt template shaped like an archer shooting a bow. He is on one knee and is wearing a hat. located within a box that reads "Quilt Templates, Schaffer Collection"